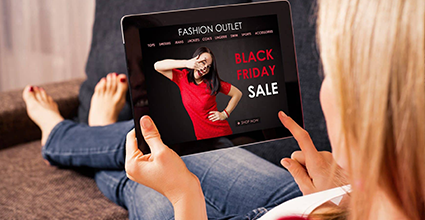 Black Friday and Cyber Monday can be great fun – but they can also put you at great risk. Scams abound on the weekend that kicks off the holiday shopping season, and you don’t want a phishing scheme or a bogus bargain to turn you into a Grinch. In Episode 7 of the podcast we covered some ways to stay safe while shopping (both online and in person). Now let’s dig into 5 specific scams to look out for while trying to snag the best deals after Thanksgiving. An iPhone X retailing at just $12? A pair of genuine Ugg boots for just $9? These deals sound insane because that’s exactly what they are. And yet, thousands of people happily send their money to online stores that are advertising these laughable prices on Black Friday. And of course, once the scammers have your credit card info, they won’t hesitate to use it for their own shopping spree – all on your dime. Be an educated shopper this Black Friday and outsmart scammers. You can avoid additional stress and be able to truly enjoy the holiday season.